Earlier in the day, Taapsee Pannu made headlines when she revealed that she was the first choice to come on board for Kartik Aaryan's remake of Pati Patni Aur Woh. The actress was approached to star in this movie but her name was dropped at the last minute. She insists that producers Bhushan Kumar and Juno Chopra simply wanted the director to cast someone else in her place and no valid reason was provided to her for the same. However, in a joint statement issued by the producers today, they have questioned the actress' claim and revealed that they were just in talks but she was never finalised for the same. 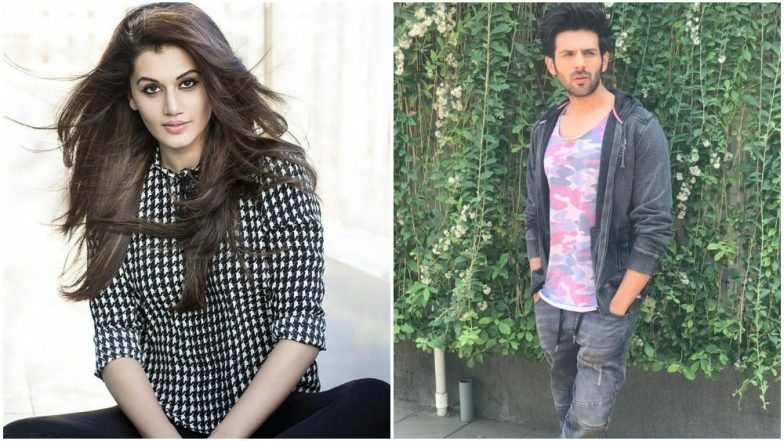 Taapsee Pannu's Name Was Suddenly Dropped From Kartik Aaryan's Remake of Pati Patni Aur Woh To Accommodate His Girlfriend, Ananya Panday? The statement issued by the producers reads, 'When a script is locked, every director or producer approaches actors for the casting of the film, it is a basic protocol followed by almost all filmmakers. Similarly, for our upcoming project – Pati Patni Aur Woh, we reached out to many actors, who we thought could be our potential protagonists in the film. The versatile actress Taapsee Pannu was one of the many actresses we had approached for one of the leading ladies in the film. However, we as Producers have never made any commitment to her. We would like to clarify that our casting was purely done on the basis of who suited the characters to the tee. Tapasee is an extremely talented actress and we would love to work with her in future. We will soon make the official announcement for the final cast of Pati Patni Aur Woh.' Ananya Panday To Play 'Woh' in Kartik Aaryan's Remake of Pati Patni Aur Woh. While we assumed if her name was dropped to accommodate Kartik's girlfriend, Ananya Panday in the project seems like Taapsee was never really a final choice for them. And it's only wise that the makers will try and cash in on the new couple's chemistry in their film. While the Naam Shabana actress is definitely not on board for this remake, we await the announcement of its final lead cast.